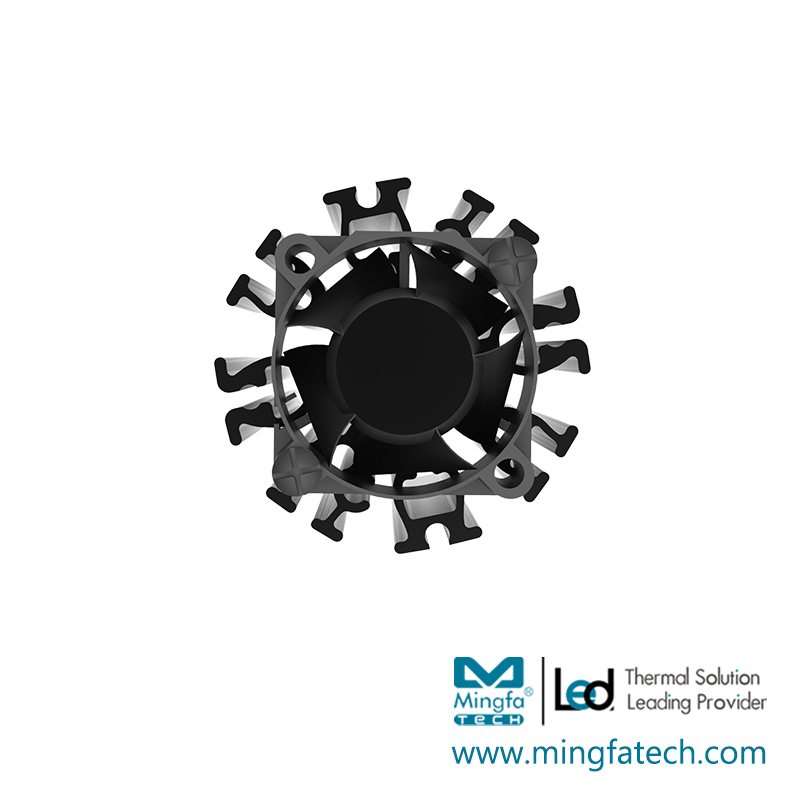 LED Active Heat Sink F3865; Design for Spotlight and Downlight 3000lm; Rth1.38°C/w; Suitable for 10w/15w/18w/20w/25w; Self-taping hole or custom mounting holes for Zhaga book 3 and book 11 LED modules; Standard finish-Black anodized. Good materials, advanced production technology, and fine manufacturing techniques are used in the production of led heat sink. It is of fine workmanship and good quality and is well sold in the domestic market.MINGFA has a scientific and perfect procurement chain. To guarantee the quality from the source, we always adhere to the selection of high-quality materials to produce all kinds of led heat sink. They are highly safe that have passed the national compulsory certification. 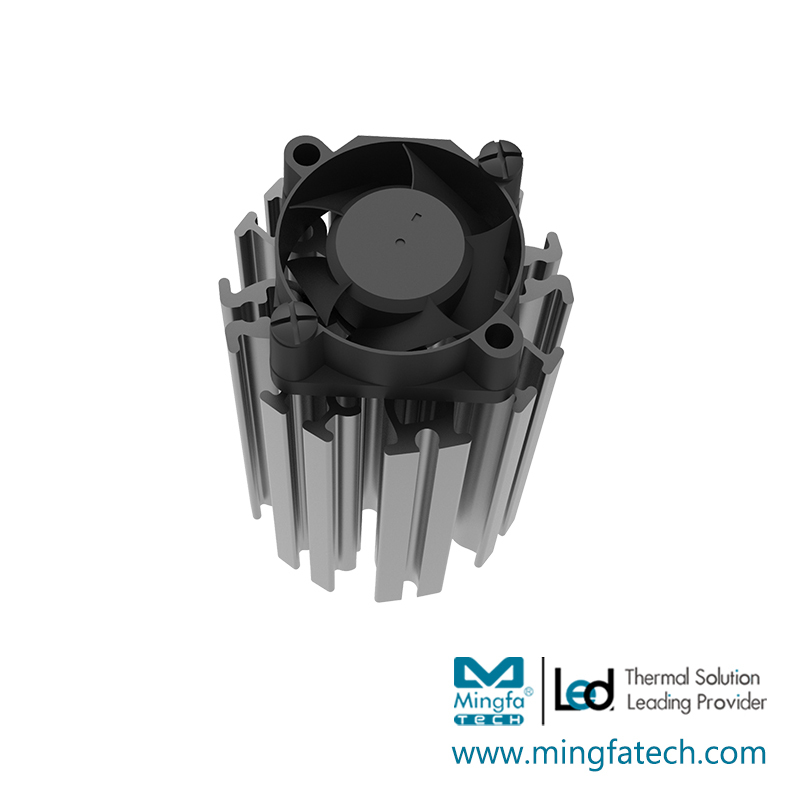 We provide a worry-free buying experience for customers.Compared with other products in the same industry, MINGFA's led heat sink has the following characteristics. MINGFA strives excellent quality by attaching great importance to details in the production of led light housing.MINGFA checks on all aspects of product production by a complete quality control system. We guarantee the finished product all meets the requirements of quality standard. led heat sink are made with fine process. They are safe, durable, stable and sensitive, in line with users' needs.MINGFA insists on the use of high-quality materials and advanced technology to manufacture led light housing. Besides, we strictly monitor and control the quality and cost in each production process. All this guarantees the product to have high quality and favorable price. 1. In order to keep a leading of profession position, MingfaTech Manufacturing Limited will continuously outstrip ourselves. 2. MingfaTech Manufacturing Limited has powerful technical advantage and strong research and development capacities. 3. More and more customers speak highly of the service of Mingfa Tech. Please contact.